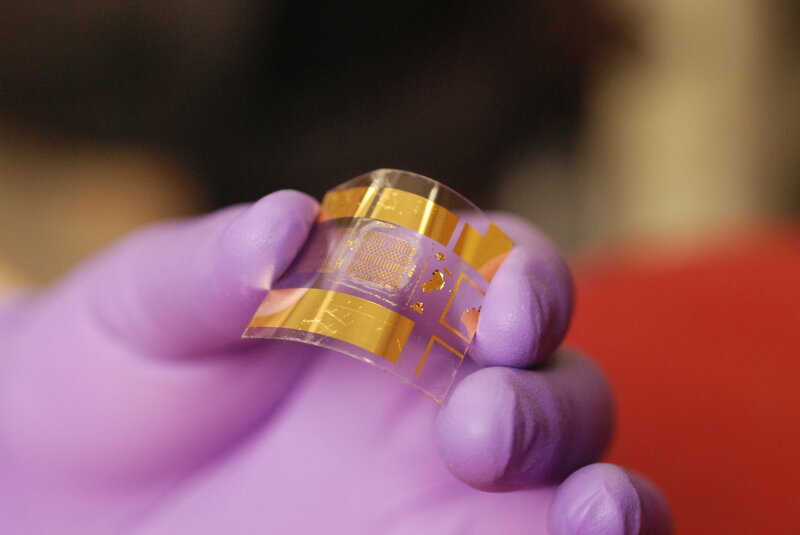 A team of University of Wisconsin-Madison engineers has created the most functional flexible transistor in the world—and with it, a fast, simple and inexpensive fabrication process that's easily scalable to the commercial level. It's an advance that could open the door to an increasingly interconnected world, enabling manufacturers to add "smart," wireless capabilities to any number of large or small products or objects—like wearable sensors and computers for people and animals—that curve, bend, stretch and move. Transistors are ubiquitous building blocks of modern electronics. The UW-Madison group's advance is a twist on a two-decade-old industry standard: a BiCMOS (bipolar complementary metal oxide semiconductor) thin-film transistor, which combines two very different technologies—and speed, high current and low power dissipation in the form of heat and wasted energy—all on one surface.